The story began in a barn nestled in the Northern California countryside. 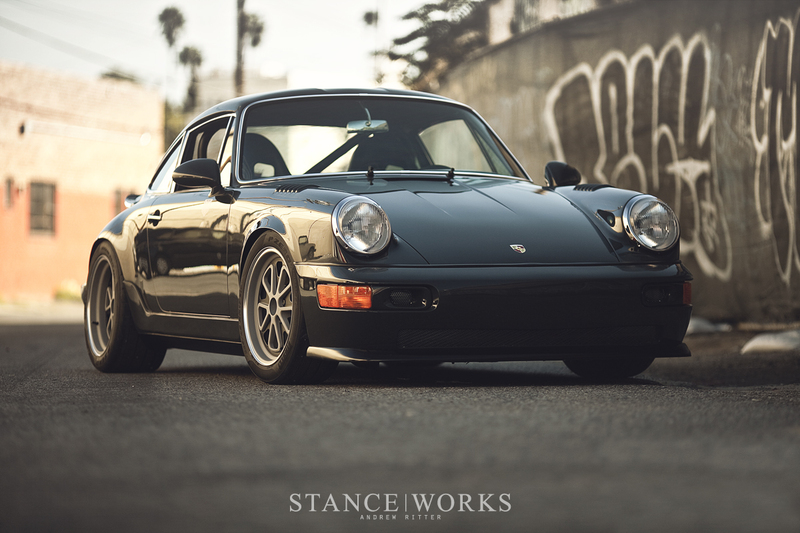 Amidst the fervor surrounding Porsches this year, Dorian Valenzuela, of DV Mechanics, uncovered a Porsche 964 that had been parked, unloved for years, and remained undiscovered by the droves of eager Porsche buyers. 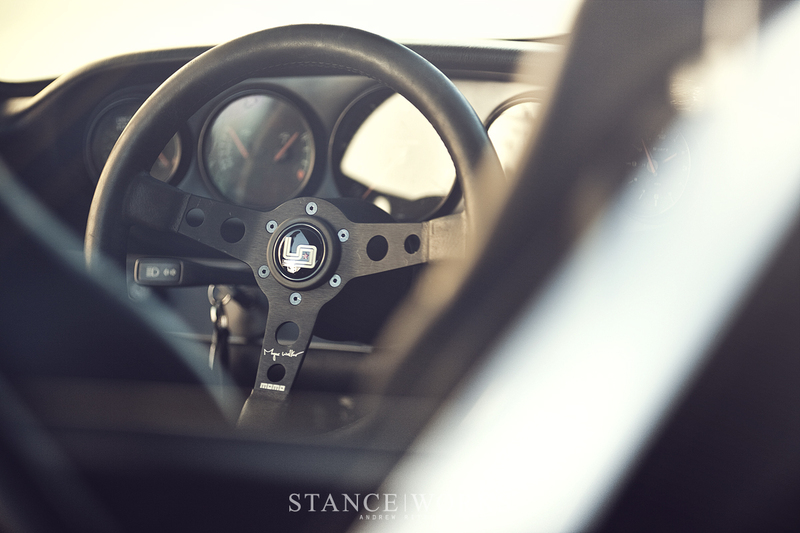 In a previous life, the 964 was a dedicated track car. It's interior had been stripped to house a cage, and trackside repairs and modifications left it in a pieced-together state. Somwhere along the way, an off-course excursion retired the Porsche from competition and relegated it to the dark barn where Dorian would later find it. 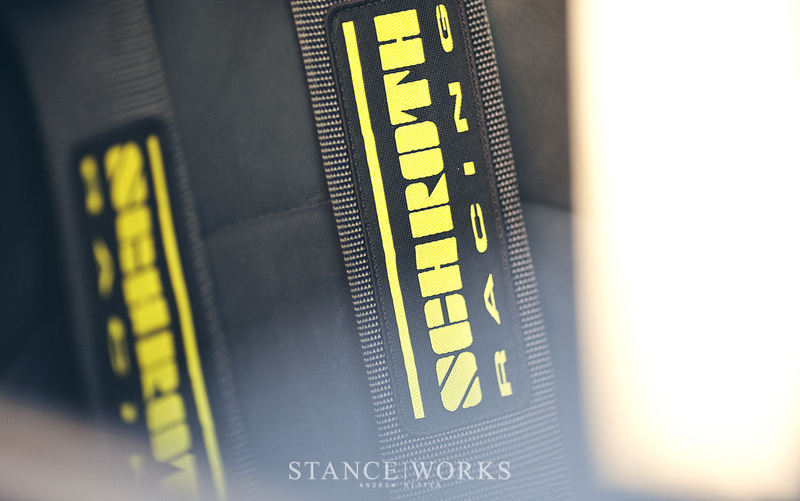 In March of this year, Dorian dusted off the bruised ego of the former 964 racer. The old car had seen much better days, but in little time, Dorian had the car on a trailer, destined for rejuvenation in Los Angeles. 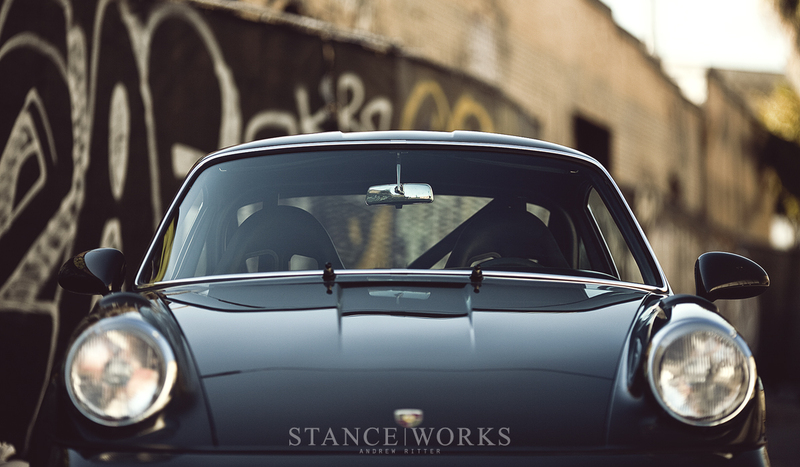 Since I first met him, Magnus Walker has been churning out cars, each one receiving vintage race-inspired styling cues that have become synonymous with his name. The painted bumpers and race stripes that adorn many of the cars in Magnus's repertoire are well known, and his affinity for the lightweight, sports-purpose details has been documented well by countless journalists and photographers. While these builds garnered a sea of attention, Magnus will be the first to admit that his recent cars have been interim projects, acting as case studies for his styles and techniques. Magnus hasn't engaged in a fully committed build since his STR project. Now, after nearly 8 months, Magnus prepares to debut his next big endeavor at the Los Angeles Auto Show. 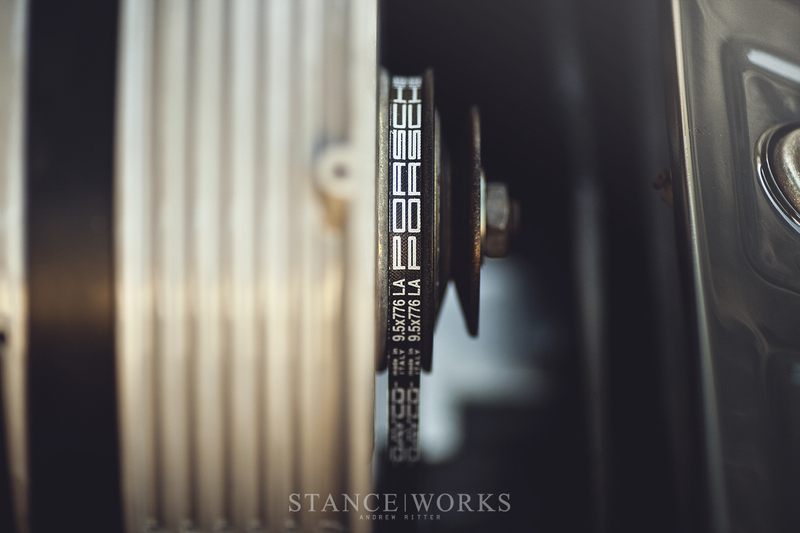 In many ways, Magnus Walker's Porsche 964 project is a departure from what we've come to expect from him, but underneath its veil, you'll still find his touch in the details that play a monumental role in the presence of his latest work. The 964 is a natural evolution in Magnus's Porsche passion, and it marks a new chapter in his story, one of maturation and refinement. 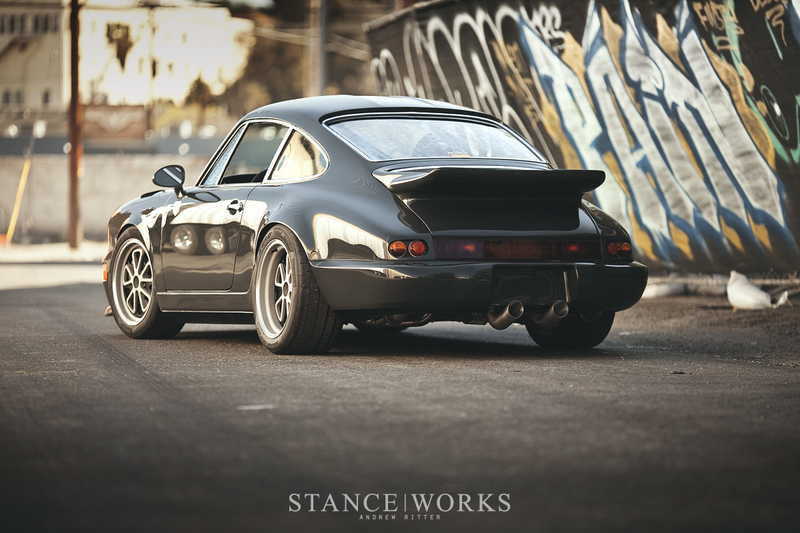 Magnus has dabbled in the early Porsche models, toying with short wheel base examples and the later SCs, but in an effort to move along the lineage, he began work on the 964, the last example of Porsche's classic silhouette. 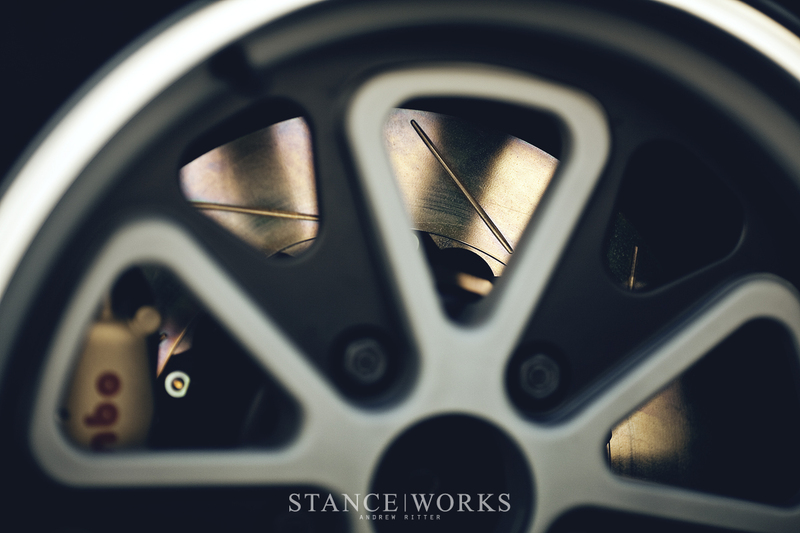 When it comes to 964s, there are 3 staple paths that many seem to follow. Some owners embrace the classic silhouette and point back to the early models with backdated bumpers and vintage styling cues. Others seek the route of aggressive styling with the widebodies that have grown in popularity over the past couple of years. As his first foray into the modern 964 chassis, Magnus wanted to refrain from straying too far from the original car's DNA. 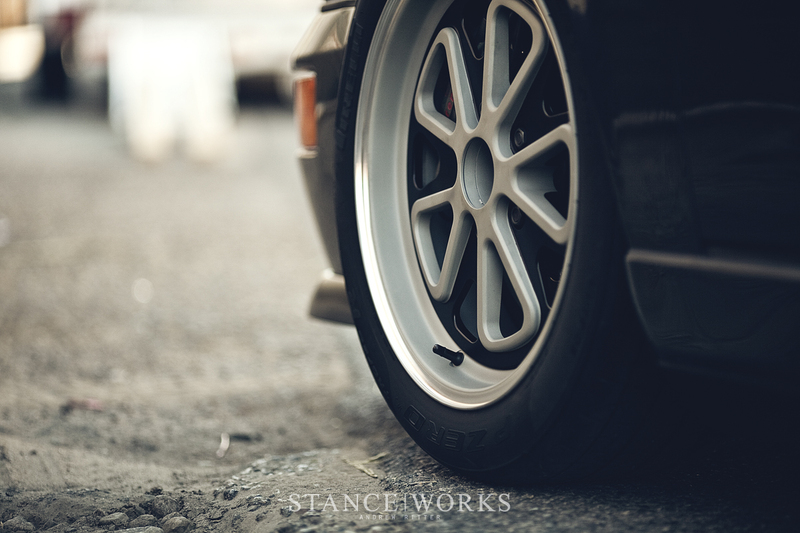 Rather than backdate it or attempt to form it into a wild widebody, Magnus chose to expand upon the sporty demeanor of the 964 and accentuate the cars original lines with the narrow body and big bumpers. In place of the bright color combinations that have danced across his previous builds, Alchemy Paint has laid down a stunning coat of Porsche's iconic Slate Grey. The classic color offers a subtle richness and sets the stage for the styling elements that have transformed each panel of the car, allowing them to shine on their own without any distractions. The doors remain the only un-touched exterior panels on the car, but at first glimpse one may not recognize the extent to which the car has been sculpted. 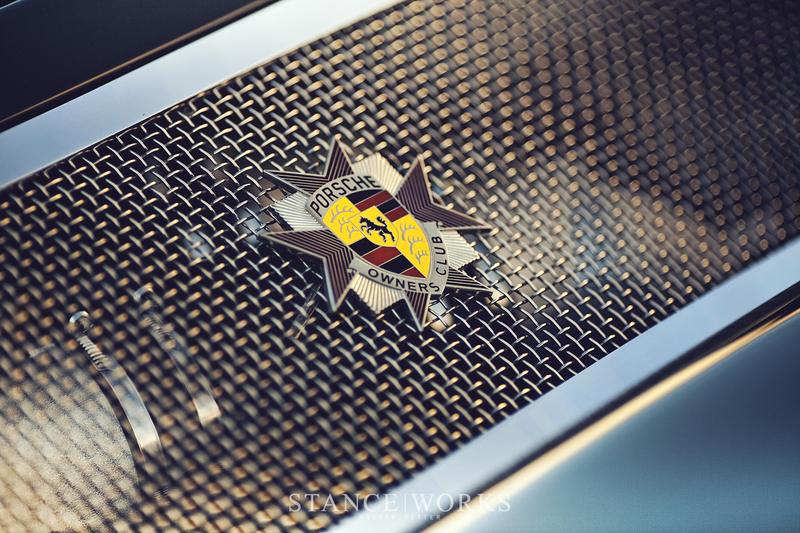 The eyes initially jump to the trademark fender louvers that Magnus first introduced on his in-progress Porsche 911 67s RT project. With the help of metal-shaper and Porsche specialist Rod Emory, Magnus was able to press a complex set of curved louvers into the top of each fender. As the eye moves past the louvers on the driver's side fender, it finds a small finned cap in place of the large fuel flap that once resided there. In an attempt to refine the lines of the 964, Magnus removed the large fuel filler door, smoothing it over. A custom cap follows the contours of the fender and feeds directly into a filler neck that has been lengthened from its original location. 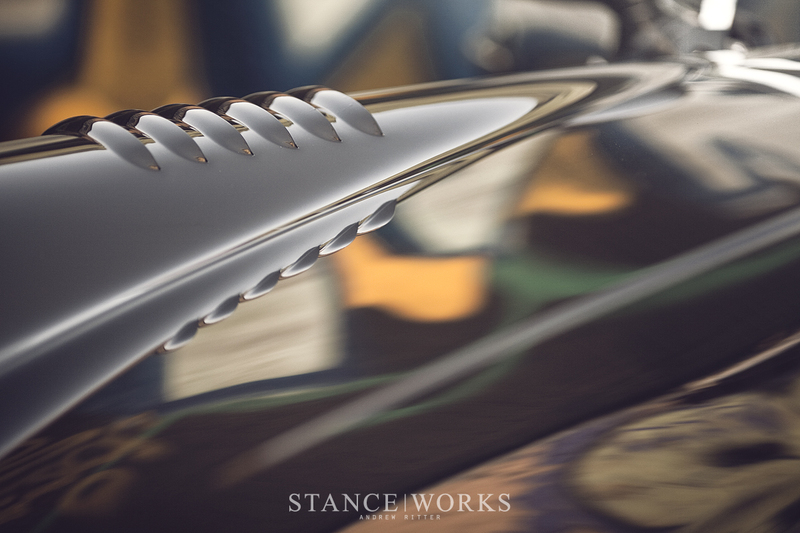 Following the theme of smoothing out lines and accentuating the car's original profile, the bumpers and rockers have been perfected and streamlined. Up front, the license plate recess has been removed and the center bar has been deleted from the lower grill, while RS brake ducts add a bit of body color to the indicator housings. 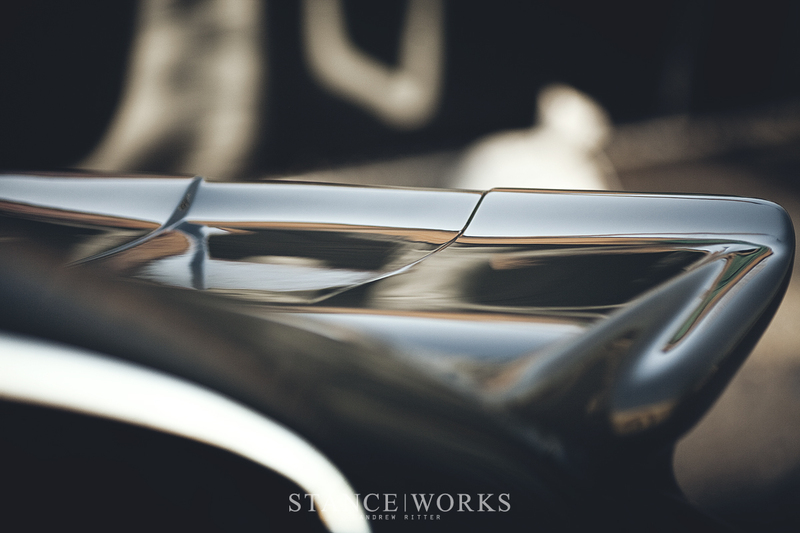 Running down the sides of the car, the 2-piece rocker panels were molded to create a seamless panel to match the slate-like sides of the narrow-bodied Porsche. Rounding out the smooth bodywork on the car is a fiberglass rear bumper, the only aftermarket body part to grace the car. The fiberglass variant offered Magnus a one-piece construction without any undesirable exhaust cutouts. As your eyes trace over the car, you're left wondering what looks different. While it took me a few moments to place a finger on it, the profile of the car had been drastically altered by a rather simple touch. Drawing inspiration from the world renowned RUF Yellowbird and Porsche 959, Magnus had the rain gutters removed. Without the rail lines running along the outer edge of the car, the roof takes on a rounded cap look that lightly reminded me of the Porsche 356's roof lines. As one could imagine, shaving the rain gutters that also serve to mate the roof panel to the car can be incredibly time consuming, but surprisingly enough, it didn't even compare to the other work that commenced on the roof. Hours and hours were spent carefully shaping a metal panel with a sleek double-hump to replace the factory sunroof panel. Magnus had channeled and narrowed the hood, drawing the hood lines together to just 12 inches apart and he wanted the roof to carry this same 12 inch swathe over the top of the car. The result is reminiscent of the double-bubble roof elements found on many sports cars, new and old. With the line running from the hood and over the roof, Magnus continued it down onto the custom spoiler that he had created. 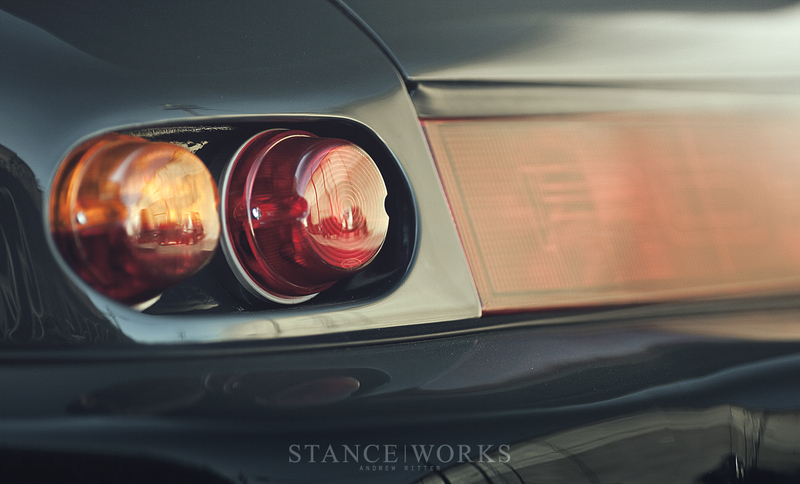 The spoiler originally started out as an early 1976 Turbo tail, but the large rubber extension was removed and the shape was smoothed and perfected. 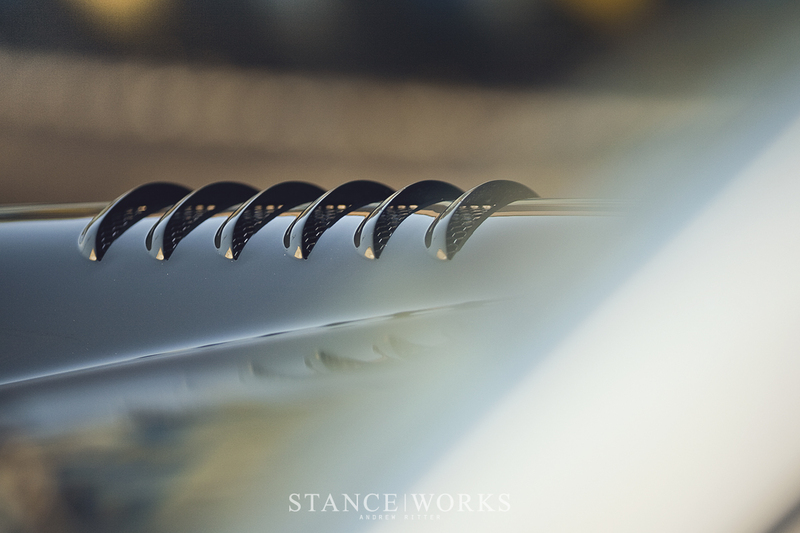 Magnus wanted to create a subtle "baby" version of the large IROC spoilers and offer a unique alternative to the ducktail spoilers that are often found on custom 964s. Though, he wanted to shy away from backdating the 964, Magnus wasn't afraid to still turn to the earlier models for a few key design elements. 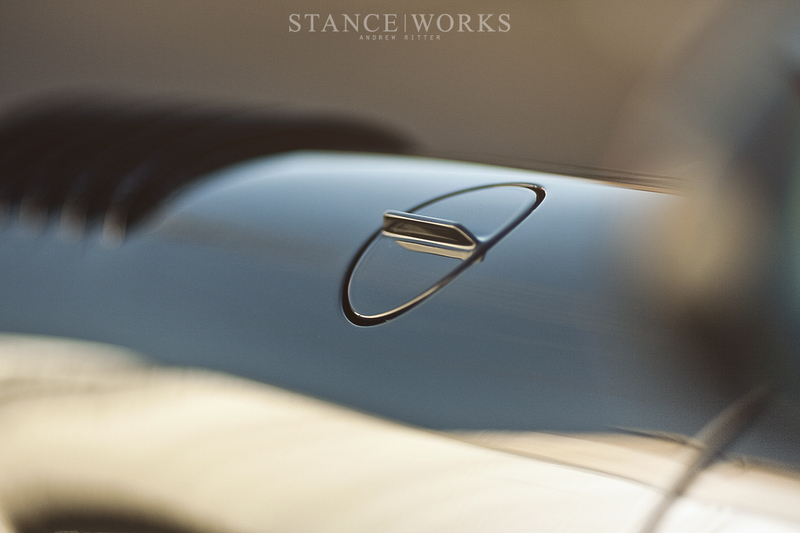 The rear glass was replaced with one from an old Porsche 912, lacking the intrusive lines of the heating elements. The standard black 964 window trim was dipped and then the aluminum was polished to a luster that one would find on a short wheel base car. The bright-work offers a beautiful accent against the deep Slate Grey paint and lends a subtle vintage feel to the build. Inside a short wheel base mirror hangs down from the ceiling and the headliner has been removed and distressed leather takes its place to match the door cards and give the interior the feel of an early model cockpit. Magnus has big plans for this car, and many of them involving proper canyon thrashing, so the work didn't stop at the exterior panels. When it was pulled from the barn, the car already had a Porsche 993 engine under its decklid, so it was saved and sent off to be punched out to 3.8 Liters and built to RS spec to one day put out approximately 300hp. 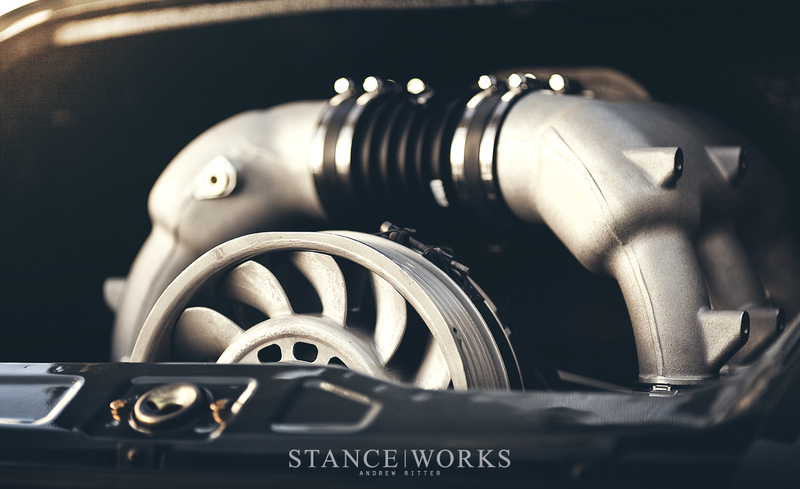 That sort of power will push the 2,366lb dry weight to a Porsche GT3-esque power-to-weight ratio that is sure to elicit a never-ending grin. To wrangle in that power and keep it under control is a set of KW's new Porsche application coilovers and Brembo's Club Racing brake kit at all four corners. To fill the wheel wells, 17x8 and 17x9.5 Fifteen52 Outlaw wheels have been wrapped in Pirelli's latest Trofeo R rubber. Over talks with the gentlemen at Pirelli, Magnus mentioned that they ought to fill the growing void of sport tire options in vintage sizing. After some deliberation, Pirelli has debuted a line of performance-oriented tires ranging in sizes from 15-inch to 17-inch for those of us who still enjoy the vintage driving experience. This collaboration is fantastic news for all of us as enthusiasts and to see a company working with an enthusiast such as Magnus to reach out to its customers is a welcome sight. While photos help to put these details under a spotlight, this is one of those cars that is best witnessed in person. If you are able to make the journey, you will be able to see Magnus's latest build on display in the Pirelli Tire booth at the Los Angeles Auto Show which opens to the public tomorrow. We encourage you to devote some time to admiring the work and care that was put into this build while you browse over the subtle styling cues and personal touches that make it so special. Magnus has created an impressive follow-up to his past STR build, and it comes as no surprise to hear him say that this is the build that he is most proud of. In the style and refinement of this build, it's clear that he has matured as a builder over the years, and we are certain that he'll continue growing along this journey as he adds new builds to his collection. How do you dip the window trim to make it look like that? Always thought that this is a key difference between previous models and was wondering how one could achieve that? The article erred about the window trim. In fact it the trim and weather seals for the front and rear glass are from the earlier model 911. The 1965-1977 range had bright window trims. any information on the 16″ tires in vintage sizes mentioned in this piece would be appreciated – thanks! Andrew ??? How does it happened that U let a car reflect on the 964 on first picture !!! If Magnus had an east coast shop ,id want to hang there daily!my wife thinks he should be on dancing w the stars.Have no idea where that thought comes,but she likes his cars! Beautiful car, but can’t drive a lowered car in Dallas without incurring much front damage. Nice for a track car though. Magnus is an artist whose media is Porsche. I had the pleasure if meeting him at Rennsport V. He was a perfect gentleman. Cheers! Beautiful car but way too many reflections of jenky cars and trucks in the pictures….. 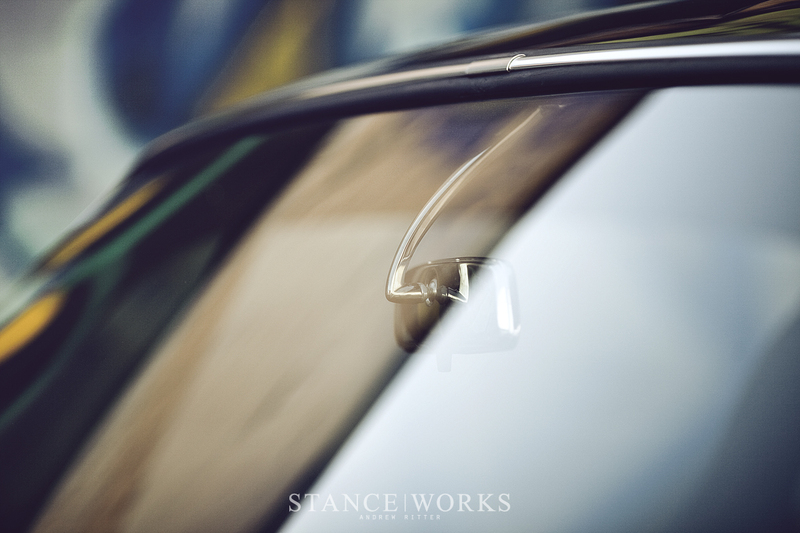 Car photog 101…. Seth W – Thanks Seth, I appreciate your input. Unfortunately, part of what “Car Photog 101” may not teach is that in editorial photography, you’re not always in complete control of the surroundings and locations of your subject matter. In this case, the car had just been finished and was on its way directly to the Auto Show to be put on display. While the reflections were certainly not ideal, sometimes you have to work with the scenarios that you’re given.